Dell Rapids, SD- Misusing company time, abusive behavior, and employee theft are among the most frequently observed unethical behaviors in the U.S. workplace (according to a survey conducted by the Washington, D.C. based Ethics Resource Center, January 2015). In an effort to stop this trend, Junior Achievement is striving to educate students about the importance of ethical decisions while they are still in school. Through the JA Excelling through Ethics program, over 9,300 South Dakota middle and high school students from 32 communities will learn from executive level volunteers the importance of ethics. Junior Achievement partners with nearly 500 local business executives across the state to share their personal experience with ethical decision-making and to provide each student an opportunity to think critically about ethical dilemmas they may face. Along with the foundation of ethics, they challenge students to consider their own integrity, reliability, values, and character. 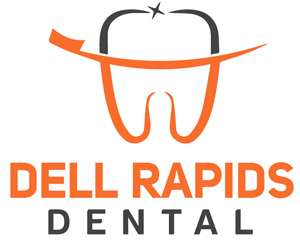 On Wednesday, December 5, over 75 Dell Rapids students will participate in the program. The JA Ethics volunteers will conduct activities, lead discussions, and share real-life ethical decisions they have faced and how they responded. Through these discussions, students will gain a better understanding of their responsibility to society and of the role ethics and integrity play in the workplace and in life. Kayla Eitreim, President of Junior Achievement of South Dakota, stated, “Today’s students are tomorrow’s future leaders, and Junior Achievement is proud to have the opportunity to help ensure our students are prepared for the workplace. JA volunteers help students develop their soft skills and encourage them to take time to think about the implications of tough decisions while at work and in their personal lives.